Two games from Noodlecake Studios, the publishers of other classics like Super Stickman Golf and Punch Quest, hit Google Play today. The names are Bloop and Box Cat, both of which appear to be quite fun. Naturally we will go over Box Cat first since it deals with kitties, and we adore kitties. Box Cat is labeled as an arcade smasher game, with your main goal being to create traffic jams. The more cars you hit and the higher your car-crashing combo, the higher your score will be. 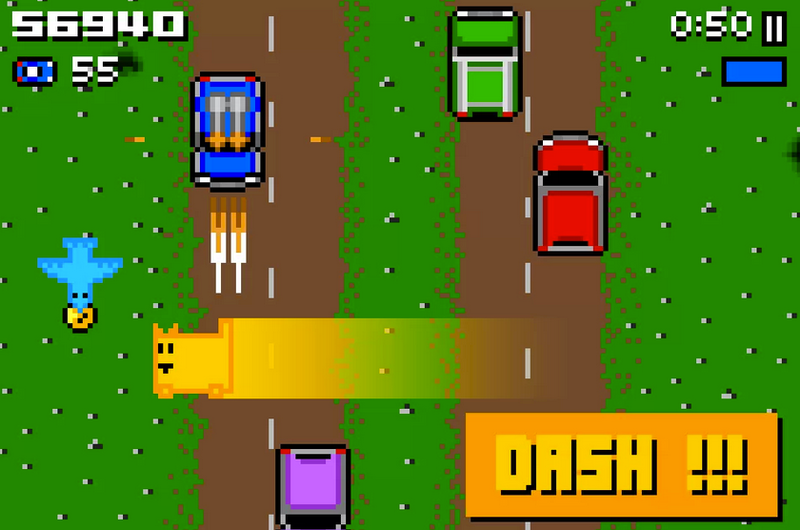 The game features an original soundtrack for your kitty pleasure, plus features some sweet 8-bit cat characters. Next up we have Bloop. This game is best played with friends, and is a fast-paced “frantic” title. You and your friends attempt to touch all of your matching colored tiles, but it gets harder as the gameplay goes on. The tiles start getting smaller and soon, your friends will start pushing and shoving trying to touch all of their titles. It’s a neat looking game, but play it on a smooth surface with plenty of room. Check out all of the game trailers down below.